The Stars Suit is an individual suit that can be picked up, here, on its own or as part of the Cosmos: Full Set (coming in the Future). 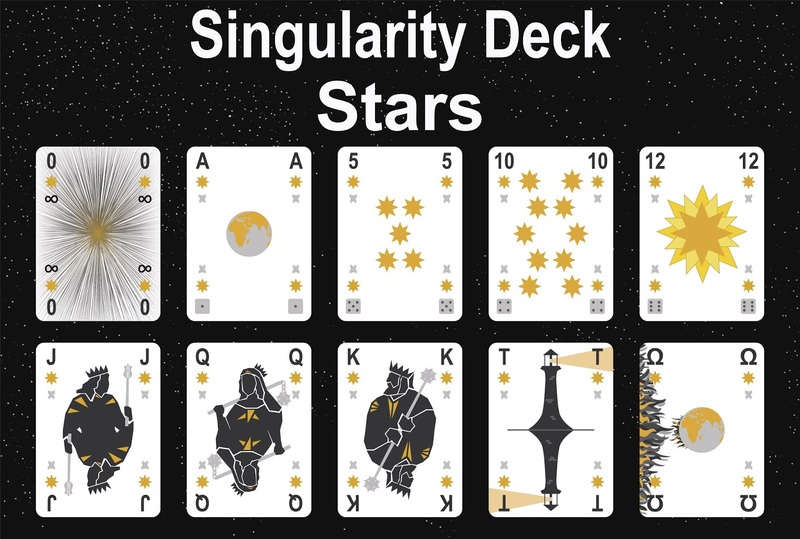 The Stars Suit contains all standard playing card ranks (A thru K) plus a few extras including an 11 & 12, a singularity card, a Tower card, and an Ω card. 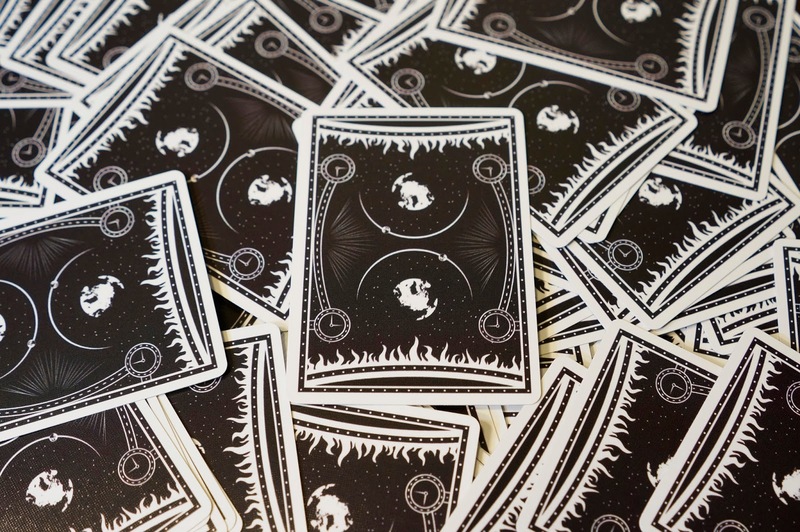 It includes three copies of the A-rank and one copy each of the other ranks, for a total of twenty cards (A,A,A,2,3,4,5,6,7,8,9,10,11,12,J,Q,K,T,Ω, and singularity). Interesting. Will you eventually have available all the suits for individual purchase? 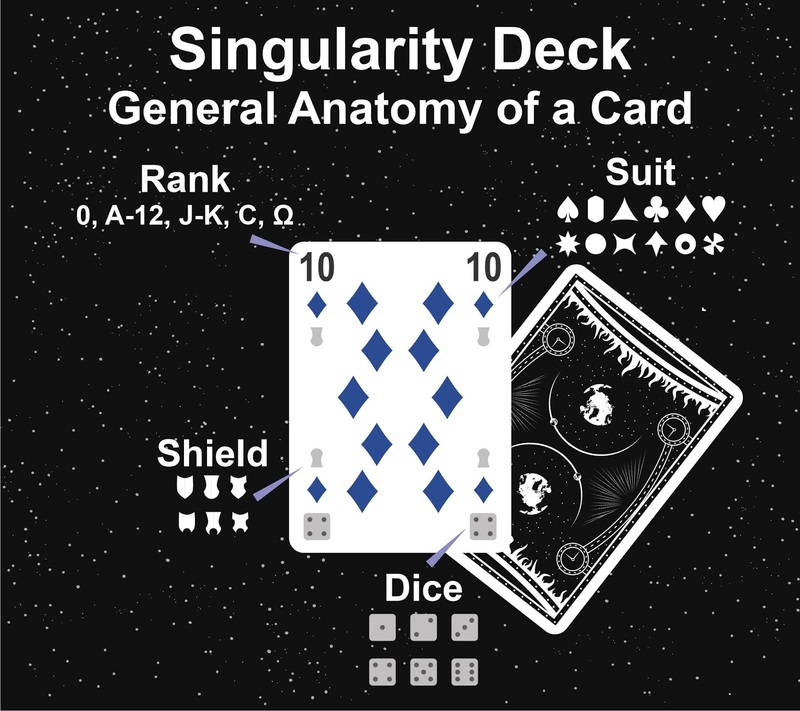 I would especially be interested in being able to purchase spades suit individually if it came with standard cards plus the numbered cards all the way through 24. Hi David, I know it's a really late response, but I finally have all of the individual suits available for purchase.